Stock up for Father's Day and vacation pix! 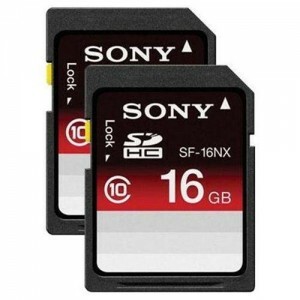 MacMall has a Sony 16GB SDHC Class 10 Memory Card Sale for just $6.95 with free shipping if you buy $24.99 or more, otherwise shipping is $4.99. Best bet is to buy 4 and get Free Shipping. These cost $11.98 at Amazon. Update: free 2-day shipping with ShopRunner. 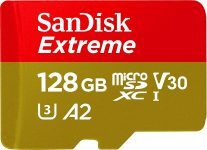 Class 10 cards are recommended for recording HD Video. Having multiple memory cards instead of 1 large one allow you to divide up photos, so if you lose a card, you minimize the loss. Yes this has happened to us! Only $799.99! + Free Shipping! on HP Inc. SmartBuy HP ProDesk 400 G5 Microtower PC (5DQ23UT#ABA) - Buy Yours Today! Only $379.99! + Free Shipping! on HP Inc. ProDesk 600 G2 Small Form Factor PC - Refurbished (PC2-3257) - Buy Now! Only $79.99! + Free Shipping! on HP Inc. 6305 Pro Desktop AMD A4-5300B 3.4GHz Refurbished (PC2-0895) - Order Now! Up to 60% Off - Bring in the New Year with New Tech! Free shipping available on orders over $49. Save Up To 33% Off at MacMall Mid - Week Savings! Free shipping on orders over $49!